Ammophila arenaria (European beachgrass) is a clumping perennial grass (family Poaceae) found in coastal dune systems from Santa Barbara County north. 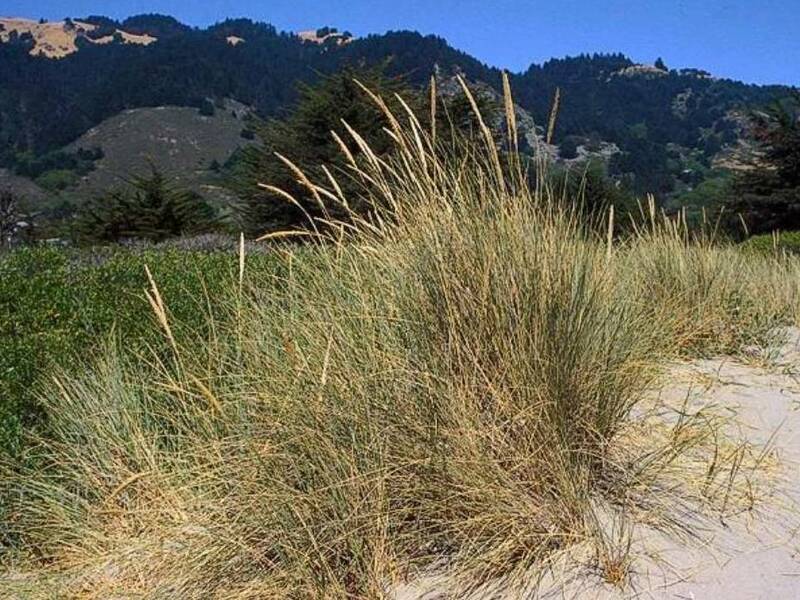 European beachgrass grows more densely than native American dunegrass (Leymus mollis), trapping passing sand and creating steep dunes that run parallel to the shoreline. This prevents new sand from reaching interior dunes, resulting in changes to the structure and ecology of dune ecosystems. Native plants often cannot compete with dense stands of European beachgrass.